Install latest Android Studio from PPA - The Android Studio is available in PPA for Ubuntu 16.04 LTS Xenial Xerus, Ubuntu 15.10 Wily Werewolf, Ubuntu 15.04 vivid Vervet, Ubuntu 14.10 Utopic Unicorn, Ubuntu 14.04 LTS Trusty Tahr and Linux Mint 17.1 Rebecca. 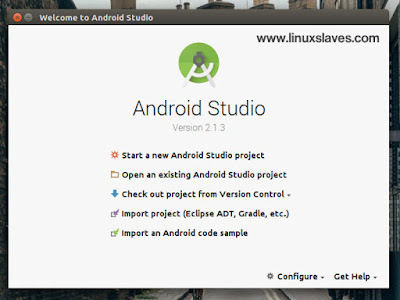 Android Studio is the official integrated development environment (IDE) for Android platform development. It was announced on May 16, 2013 at the Google I/O conference. 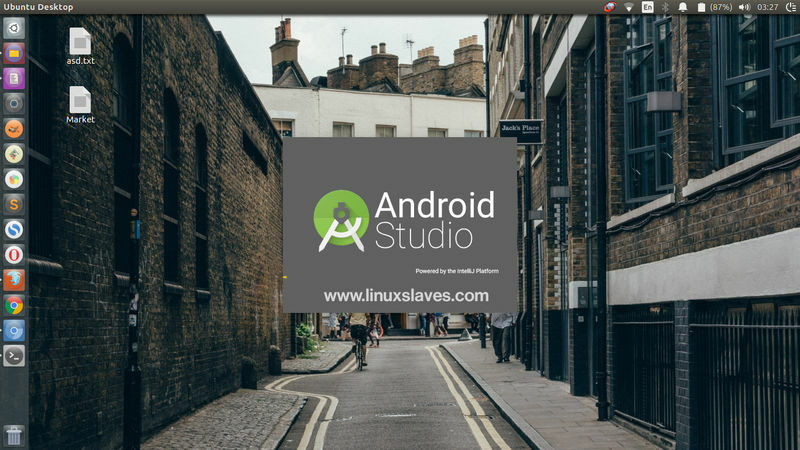 Android Studio is freely available under the Apache License 2.0. 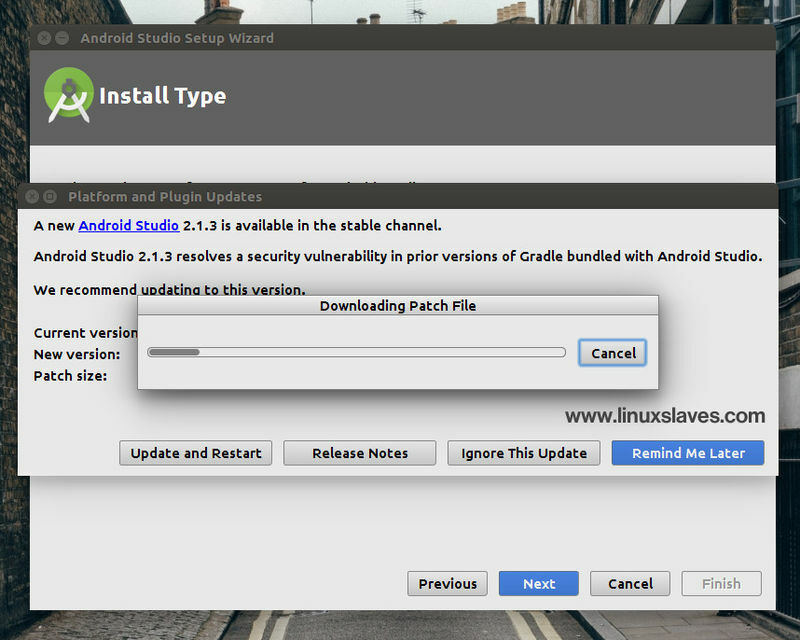 The first stable build was released in December 2014, starting from version 1.0. It's free and cross-platform graphical application implemented in Java which is has useful and powerful tools for Android apps development in multiple platforms. The installation will begin. Sit back, time to grab a cup of coffee! 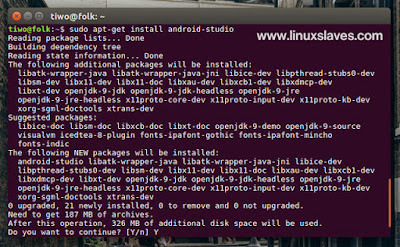 Once installed, now open Android Studio. 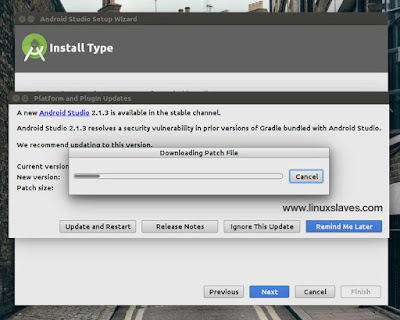 You need to install Android Studio add on and if you want you can update to latest from its application. If it doesn't work, please jump to the new post Easily install Android Studio 2.3.1 in Ubuntu Linux via PPA. 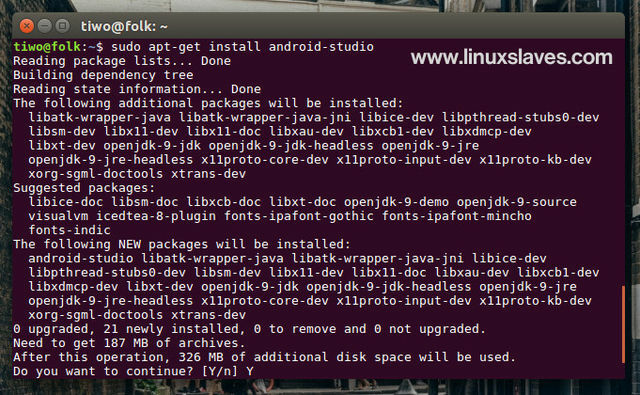 Hope this tutorial helpful for those who looking for step-by-step tutorial installing Android Studio in Ubuntu and Linux Mint. Thanks for visiting us!